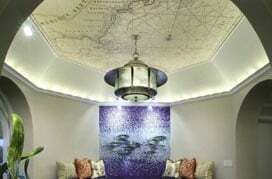 Magic Murals offers a vast collection of modern and contemporary wall murals. We have a large selection of macro photography murals as well as sepia toned murals. 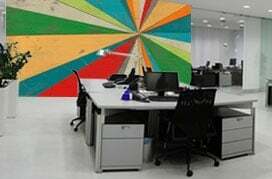 Digital art murals as well as graffiti murals can also be selected to meet your decorating style. Modern paintings and abstract painted murals are another unique way to bring your inner decorator to life. If it's the modern or abstract feel that you crave, Magic Murals has you covered. Some of the great techniques in modern art or abstract expression can be turned into a wall mural for your own home! If you like to see the world through a different lens, come check out the wallpaper murals available at Magic Murals. Maybe you can find new perspectives of cityscapes, or man-made buildings and structures. Magic Murals has a great selections of images that are close-ups of nature, from a leaf to a flower, from raindrops to scenic vistas. A more abstract perspective of the mundane things in life could make a great wall mural. Artwork that displays a myriad of moving colors. Photographs that align multiple textures throughout the image. Everyday objects that are arranged and presented in a way that would be defined simply as “abstract.” If you can imagine it, Magic Murals can make it happen. They take pride in providing you with the highest quality professional images at the lowest prices. Take a look from the library of images available, or even upload your own! Installation is easy, and Magic Murals is committed to making sure you are satisfied with your wall mural.